| We're a local & family-owned gourmet market that's served Portland's food- and wine-loving community for 38 years. We're a local & family-owned gourmet market that's served Portland's food- and wine-loving community for 38 years. Each month at Zupan’s Markets, we feature 12 wines on special from a certain category, country or grape variety. For this month’s wine specials we are featuring approachable, affordable, mouthwatering French wines. Each of our 12 selections, which could easily be found in bistros all over France, are wonderfully food friendly, represent their areas of origin, and are great values. Steeped in tradition and romance, French wine can provide a profound wine experience. It can also cause a befuddling shopping experience. Unlike New World wines, where grape variety is prominent, the most important part of the French wine label is the appellation designation, indicating the wine’s quality level and where the grapes were grown. For example, in the U.S. we name a wine “Pinot Noir,” but in France the same wine would be named “Bourgogne” for the place where the Pinot Noir is grown. This appellation distinction and regulation of wine making began in 1936 when the Appellations d’Origine Controllée (AOC) system was extended to wine making throughout the country. Translated, AOC means “controlled designation of origin” and was first started in the 15th century to regulate the making of Roquefort cheese. The French developed the AOC system to provide protection for specialized products only made in distinct regions, supporting the idea of “terroir” or that certain regions produce products with distinct and consistent character. This system allows for strict production regulations, including wine making techniques, authorized varieties and vine cultivation. Over the years France’s wine classification system has been reformed and currently includes three categories. Listed from most basic to highest quality they are Vin de France, IGP (Indication Géographique Protégée) & AOC (Appellation d’Origine Contrôlée). This year even further changes are happening to replace AOC with AOP (Appellation d’Origine Protégée), however the new distinction only means minor changes to terminology with no changes to the appellations themselves. With all that said, what is most important to remember in the discovery of French wine, is that in each bottle is the delicious result of centuries of trial and error, passion and stewardship. It is with that knowledge that we invite you to take the plunge into the wonderful world of French wine. Check out the full list of wines on special this month. 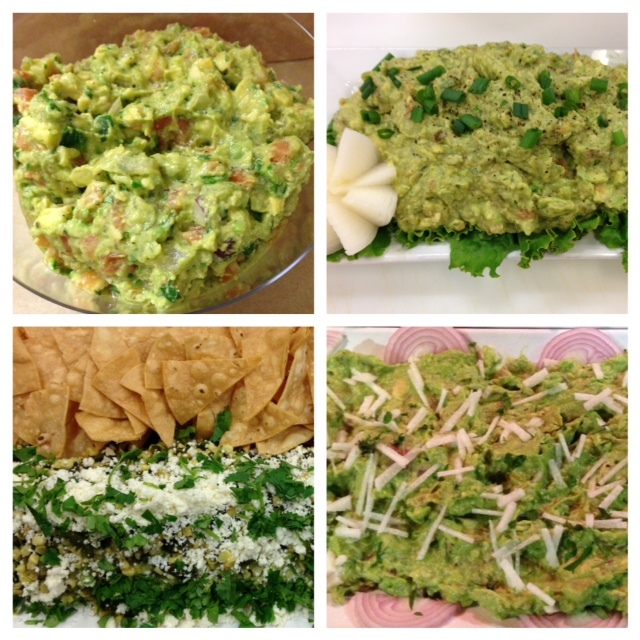 Did you know it’s estimated that 8 million pounds of guacamole is consumed during the Super Bowl? With that much green goodness being smashed up, Zupan’s Markets decided to hold a competition this week among its store associates for the best recipe. With 32 different entries the decision was a hard one for store associates, who were the judges. Unique ingredients included pomegranate seeds, bacon and curry. But in the end there could only be one champion per store. Below we have included the 4 winning recipes for you to try. Have a guacamole secret of your own? Share it with us! Top with roasted corn, four roasted, peeled & chopped poblano chiles, crumbled queso fresco, chopped cilantro and a squeeze of lime. 5. Removed mac from the oven and finish with chopped parsley and crushed Zupan’s garlic croutons. 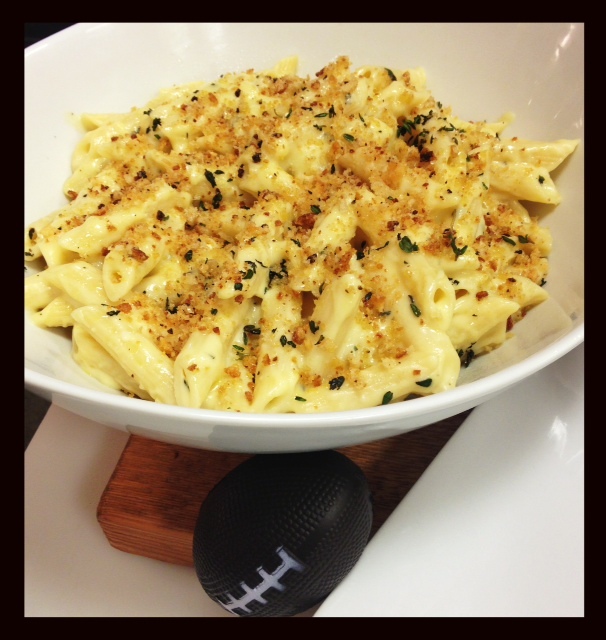 Local salumeria Olympic Provisions shared this perfect Super Bowl Sunday recipe. Easy to make ahead of time or double to feed an entire crowd of hungry fans. Sort then soak beans overnight. Drain and rinse. In a medium heavy-bottom pot, add beans and bacon. Cover with water by 3 inches. Bring to a simmer over medium-low heat and cook until tender, about 2 ½ to 3 hours. Salt to taste. Remove the bacon and roughly dice. To the cooked beans, add back the diced bacon and the brown sugar, molasses, honey, dry mustard, ketchup, onion, bell pepper, salt and pepper. Bring just to a simmer, cover with a lid or aluminum foil, then transfer to the oven. Bake about 3 hours, stirring occasionally. When done, the cooking liquid will be thick like syrup. In a large heavy-bottom sauté pan on medium heat, gently sear frankfurters. They are done once nicely browned. 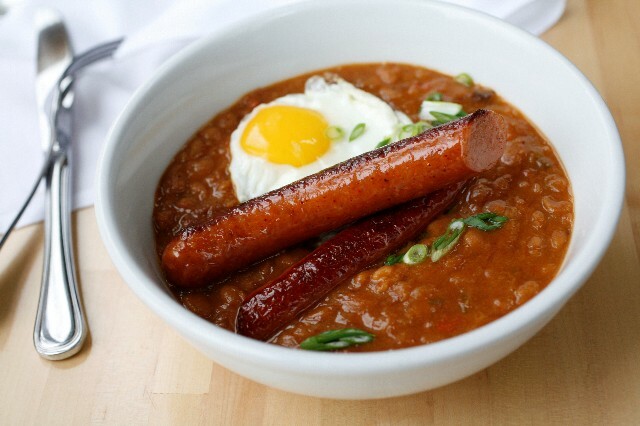 Slice frankfurters and serve atop baked beans. Garnish with sliced scallion and if desired, fried eggs. *Canned cooked beans can be used in lieu of starting with dried beans. Summer beers you must try. Looking for the perfect beer to pair with your summer fare? 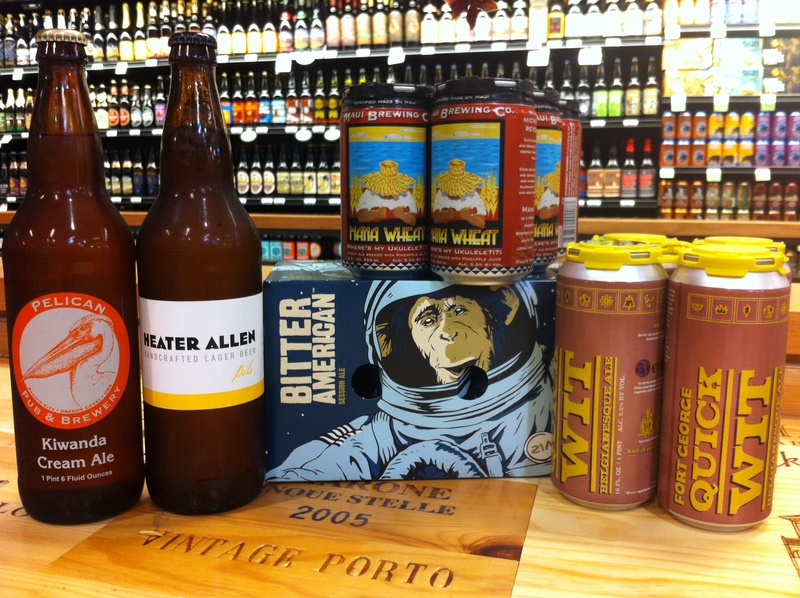 Chris Denton, our Belmont Beer Steward Extraordinaire, shares his top six picks for this summer. This fairly new style of beer features a similar aggressive hop profile as a traditional IPA but with an alcohol level of less than 5%, as opposed to the 6-8% of most IPAs. This beer comes in a picnic-friendly six pack of 12 oz. cans. Pair this outstanding beer with anything from fried chicken to grilled salmon. Quick Wit is inspired by the cloudy, thirst-quenching beers from Belgium, like Hoegaarden with a Northwest twist. It starts out with aromas of clove and orange peel and finishes with a generous helping of malt, perfect for a post-hike beverage. It’s available in a four-pack of 16 oz. cans. Aloha! This wheat beer is made with local Maui pineapple juice added – perfect for your next backyard tiki party. It’s available in a six pack of 12 oz. cans. Located in the tiny town of Pacific City along the Oregon Coast, this brewery has been brewing award-winning beers for 14 years. This beer is based on the pre-Prohibition beer style — light and golden in color with a floral hop aroma. It’s perfect with shrimp salad or fish & chips and is available in 22 oz. bottles. This is a super smooth beer and is based on the crisp, golden beers of the Czech Republic. It’s perfect with grilled bratwursts or fish tacos and comes in 22 oz. bottles. This beer is a deep gold in color and has aromas of clove and spice, but is more full-bodied and hoppier than a pilsner. It’s available in a 750ml bottle and is the perfect beer to have after working in the yard all day! This salad will leave your mom wanting seconds. For many of you, some early memories of your mom involve seeing her hands in the rich, earthy soil, helping cultivate delicious fruits & veggies for your dinner table. If she’s one that loves gardening and appreciates the simplicity and wholeness of fresh food, we’ve got a simple, yet stunning fresh salad that is sure to leave a big impact. Her taste buds will sing for joy and she might even want seconds. 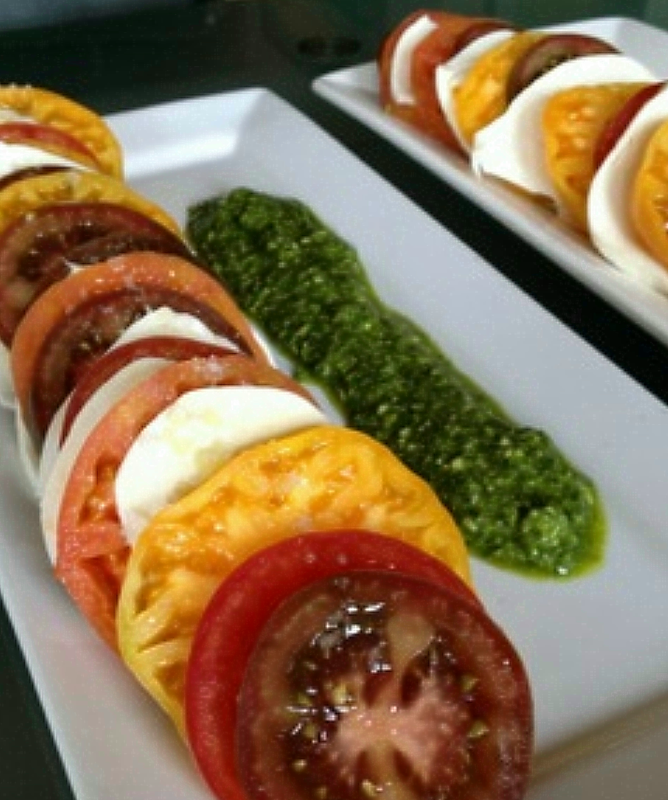 1) Layer tomatoes and ovoline onto a white platter or onto individual salad plates. You can lay down a bed of fresh arugula first if you want some greens in there! 2) Spoon pesto directly onto plate. Drizzle EVOO over tomatoes. 3) Sprinkle Maldon onto tomatoes and serve. Cinco de Mayo is coming and to celebrate, we’re sharing a new pork carnitas recipe featured in our newest issue of Indulge, which is out on store shelves now! 1. Combine the garlic, oregano, cumin, chile or chili powder, and salt in a bowl. Cut the pork into sizeable chunks. Toss pork pieces with spices. 2. Brown pork pieces in batches in a Dutch oven or heavy enameled pot, about 15-20 minutes, then remove to a plate. Deglaze the pan’s bottom with orange juice, stirring to break up the brown bits. Put all the meat back into the pan with the onion, then add bay leaves and enough water to cover the meat. 3. Bring to a boil, then cover and simmer. Cook about 2 hours, flipping the pieces once during cooking, until meat is soft and fork-tender. When the pork is tender, remove from pot and set on a plate. Discard the onion and bay leaves. Boil the remaining braising liquid, until it begins to reduce significantly; set aside about 1/2 C.
4. Preheat boiler on high heat. Move pork pieces with a slotted spoon to a lightly oiled roasting pan. Shred meat with 2 forks. Toss the meat with the reduced braising liquid, adjust seasoning to taste, and broil meat until it begins to brown and caramelize. 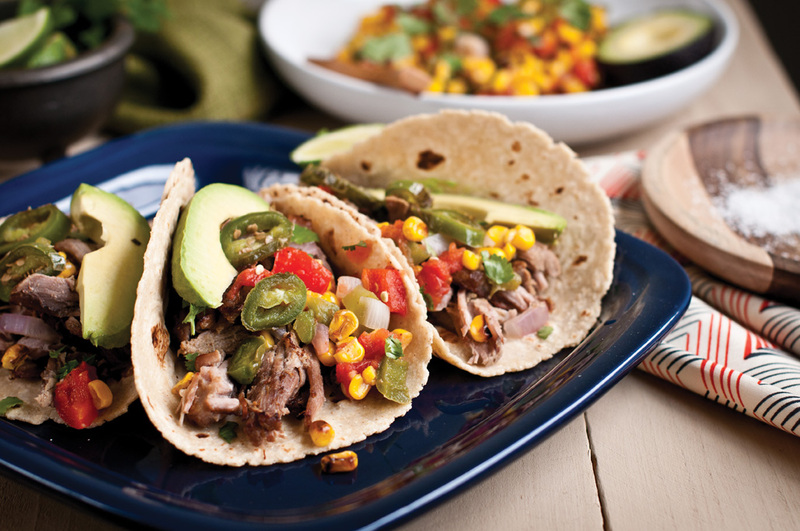 Serve on warm tortillas with Grilled Corn Salsa and other fixings as desired.